Tucked away in a hidden harbor, nestled between two buildings, at the end of a pier, Maine’s lobster shacks may be where you least expect them. 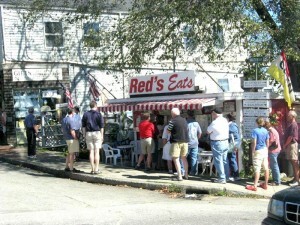 Oh, sure, many visitors have heard of some of them – Red’s Eats, Barnacle Billy’s, The Clam Shack. But we think there are many, many more that far fewer have discovered. Some have been “exposed” by Travel + Leisure magazine’s 2009 article, “10 Best Lobster Shacks in Maine“, but many others are found only by a few who stumble across them, or are given directions and recommendations, by a sympathetic innkeeper or host. Several years ago we created a map of Maine lobster shacks that remains one of our most popular links today. We’ll be using that map, expanded and updated with photos where possible (many are our own photos – where that wasn’t possible, we’ve included photos from the website of the lobster shack, if available, so apologies if any links end up broken due to moved photos). The full map is below, and we’ll be journeying from south to north up the Maine coast, with 19 lobster shacks to visit. Just across the Piscataqua River bridge from Portsmouth, NH, at Kittery Point, Maine, is Chauncey Creek Lobster Pier. They’ve been boiling and serving for over 50 years, and are well known by visitors and locals alike..
Off a back road, along the coast, in York, is a little red country store that serves excellent, fresh, and inexpensive, lobster and lobster rolls. There are a few picnic tables outside, as well as a small dining area inside. They don’t have a website, but their reviews on TripAdvisor are glowing! We’ve tried it, and we loved it. Shore Road Lobster is only a short drive from Cape Neddick Lighthouse (the Nubble), so it made for a great afternoon for us! Perkins Cove is, itself, a well-kept secret. A beautiful hidden cove, just down Shore Road from Ogunquit, appears almost magically, as you leave the world behind. Barnacle Billy’s is an institution for those who’ve tried it, and a secret well-concealed from those who haven’t. Enjoy a wonderful lobster dinner (or other great seafood meal) at the waters’ edge, and just across the way is Goat Island Lighthouse – another gem rarely seen by visitors. 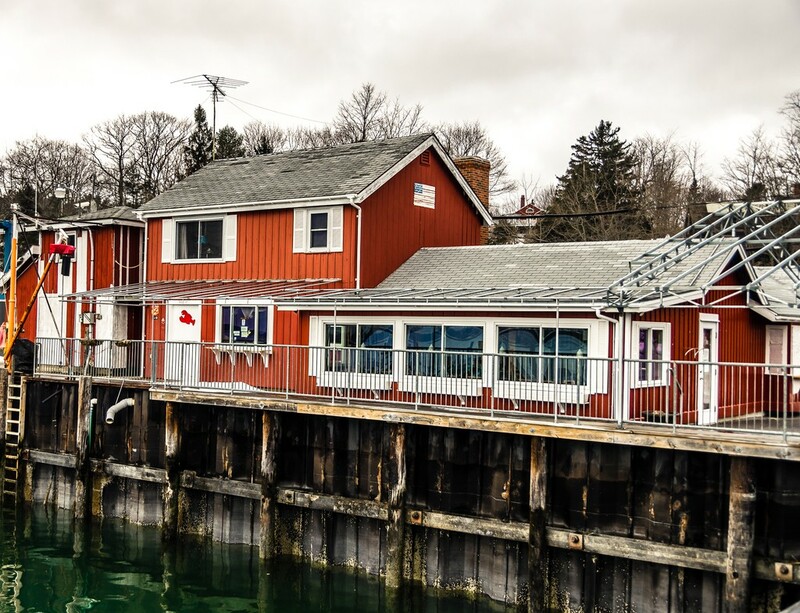 In beautiful Kennebunkport, on the bridge over the Kennebunk River, the Clam Shack is considered (along with Red’s Eats) one of the best, if not the best, place for lobster rolls in the entire State of Maine. Eat outside and stroll along the bridge, enjoying the sights and sounds of the harbor and the town. 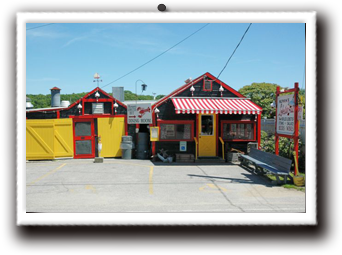 Like the Clam Shack, Nunan’s is a no-frills experience, that has been serving up the great red treat for over 50 years. Taking its name from the twin lighthouses across the road, the Lobster Shack at Two Lights sits atop a bluff, looking out at Casco Bay. Dress warmly if you visit, as the wind across the bluff can be fierce, but the views are as wonderful as the lobster! If you walk out the rocks below the lobster shack, on a clear day you can see Portland Head Lighthouse in the distance. Just along the side of US-1 as you pass from Yarmouth to Freeport is Days Crabmeat and Lobster. Not only can you eat at the takeout area, but this is one of the best places for lobster to take home (packed to travel) in the area. Barely known outside of Freeport, Cindy’s Clams has been recognized as having the very best clams (not to mention some pretty fair lobster). It’s funky atmosphere and silly signs just makes dining at Cindy’s more of a pleasure! Freeport’s harbor is about a mile or so from its well-known shops, but most visitors find their way there to enjoy fresh, local, lobster, right off the boats. Eat outdoors or inside, you’ll have a nice view of the harbor, and across to the lovely peninsula where Wolfe Neck State Park is located. Arrive early in the summer, as lines can be quite long. Linda Bean is L.L. Bean’s granddaughter, and has certainly inherited good business sense. Linda’s lobster roll shops are in Freeport, Portland, Rockport, Port Clyde, not to mention Hull, Massachusetts and Delray Beach, Florida. She also has Linda Bean’s Maine Kitchen and Topside Tavern in Freeport. Estes Lobster House has been serving lobster since 1947, but since it is at the tip of Harpswell Neck, it can be a bit off the beaten track for visitors. For example, the directions include “follow Route 123 until you come to the sea.” Not surprisingly, you can also arrive at Estes Lobster House by boat, as the dock is just feet away. 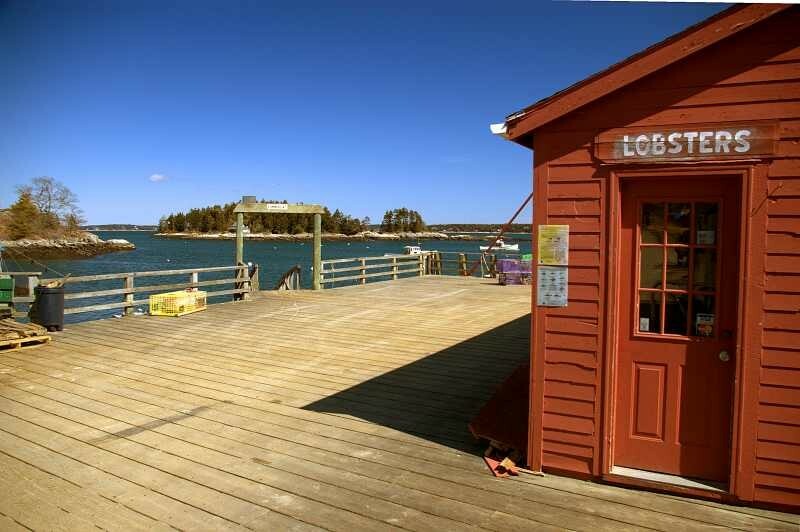 Harpswell is a classic lobstering town, so you’re assured of the best and freshest seafood you can find! Five Islands is located near the tip of Georgetown Island, along the Maine coast. The drive is beautiful, as you pass harbors and villages, then the entrance to lovely Reid State Park with its rocks and beaches. Five Islands is a hidden jewel, with lovely islands just offshore, and a lighthouse across the water. Lobster is served at picnic tables on the dock, so you can watch your supper being brought in by the lobster boats. Located at the relatively new Maine Heritage Village, the Lighthouse Lobster Shack is right along US-1. The lobster shack gets fresh lobster daily, so their seafood is always fresh. 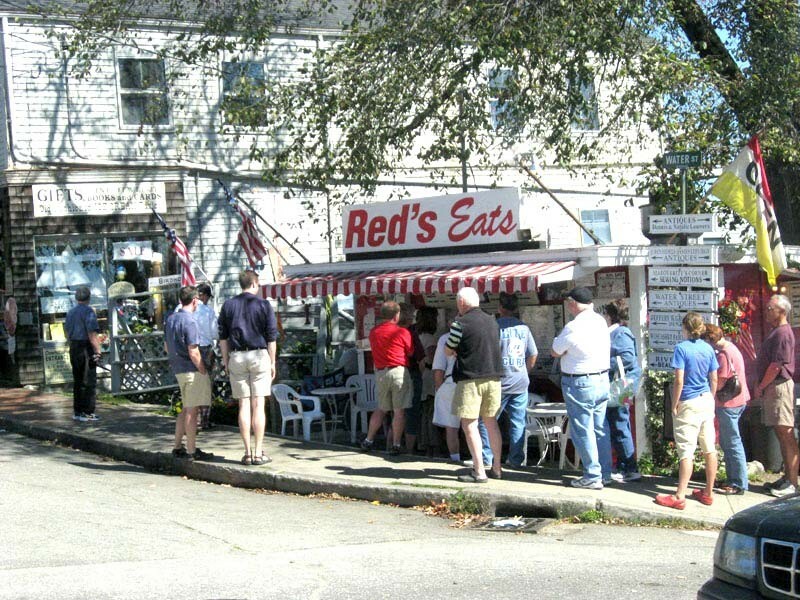 Reds Eats in Wiscasset, like the Clam Shack in Kennebunkport, is a perennial nominee for the best lobster shack in the state. They do not have a website, but they finally did get a Facebook page (the link above is to their Facebook page). In the summer the lines for this pound-size lobster roll can stretch around the corner and down the walk near the river, as visitors wait to sample the delicious fare. The Trevette Country Store doesn’t have a website, but it certainly has its loyal customers! 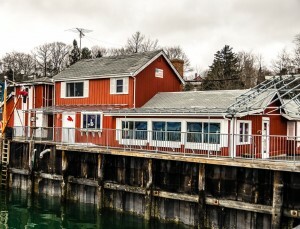 Just over the Barter’s Island bridge, the store serves up lobster rolls said to be fabulous and inexpensive. 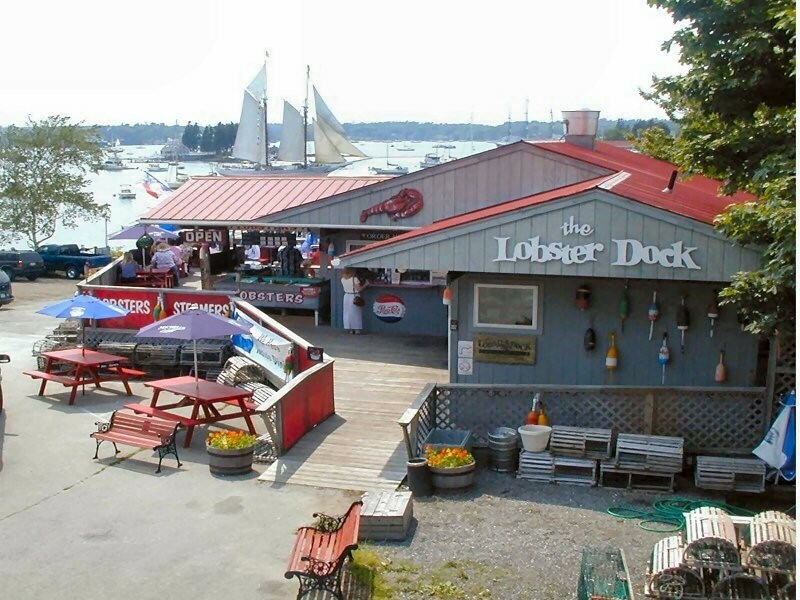 More a restaurant than a lobster shack, the Lobster Dock has plenty of indoor and outdoor seating, and magnificent views of Boothbay Harbor. Watch your lobster slip into a big pot with an ear of corn, and wait for the succulent delight as your meal is served at a table on the deck overlooking the water. Mmmmmm! 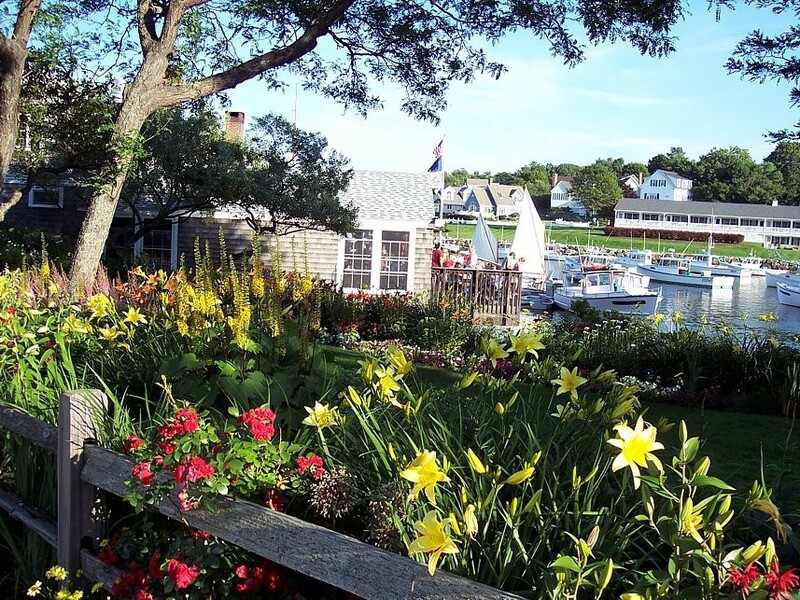 Located near Pemaquid Point Lighthouse, in New Harbor, Shaws is a perennial member of the Travel + Leisure “Top Ten” list. It is situated overlooking the beautiful harbor, where you can also take puffin watching or whale watching tours in this tiny coastal hideaway town. 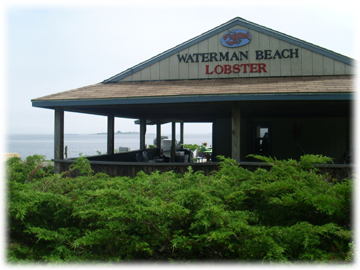 Down the hill from the lovely town of Thomaston, Waterman’s Beach Road leads to the water, and to Waterman’s Beach Lobster. Over two decades of serving lobster has made this a local favorite, and, for those visitors who can find their way to it, a favorite of visitors as well. 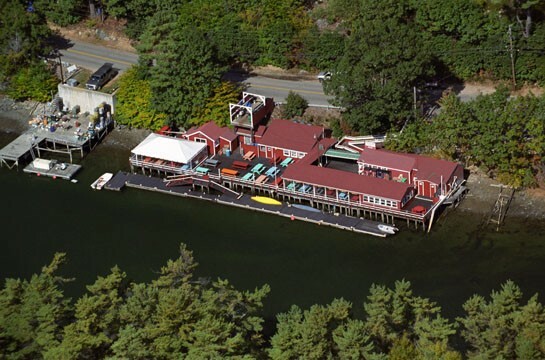 Other than its mention in Travel + Leisure, and lots of favorable online reviews, Bagaduce Lunch is another “best kept secret.” With no website we can find, there are still loyal fans who post glowing reviews of the tiny lobster shack in the gorgeous Blue Hill area. Not far from Bar Harbor, but, once again, out of the mainstream, Thurston’s is at Bass Harbor, not far from Bass Harbor Head Lighthouse. Exploring this area is a real treat, and the beauty of the coast, the offshore islands, and the lighthouse can easily be rewarded with a treat of lobster at Thurstons. No doubt there are others (certainly we haven’t hit them all – yet!). Feel free to suggest your favorites in the comments!